Happy 3rd of July, America! I hope everyone is prepared for the four day weekend. Are you all ready for beer, BBQ and sky explosions? I know I am. I'm also ready for Saints Row IV, but unfortunately that little piece of unbridled escapism doesn't drop for another month and a half. I want to be president and I want super powers NOW, dammit! Oh well. Maybe Keith David can cheer me up. This is a SRIV trailer, so the usual warnings apply: Incoming violence, f-bombs, and cleavage. Crap. That just made me want it more. I know the video was good because I made my wife watch it and she was shaking her head in feigned disgust before it was half over. I would say SRIV is getting a little too over-the-top and obnoxious, but it scratches a particular itch. Sure, it's not a very smart itch, but it still does the trick. For more information be sure to check out our latest preview. If gameplay is more your thing we have a ten minute video for your viewing pleasure here. 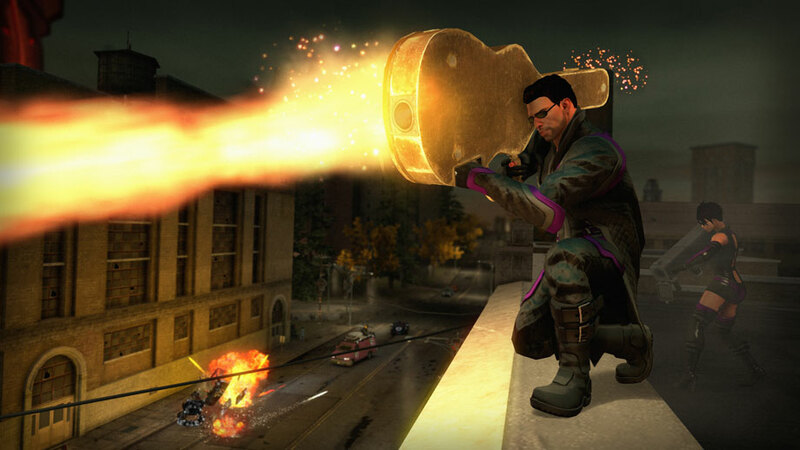 Saints Row IV supports two player online co-op. It will launch on August 20th for the Xbox 360, PlayStation 3 and PC.